In order to support the planning application for the residential development of the site a Phase I Desk Study report was required. The first stage of the desk study was to review the history of the site using a combination of O.S. maps, aerial plates and street level imagery. The O.S. 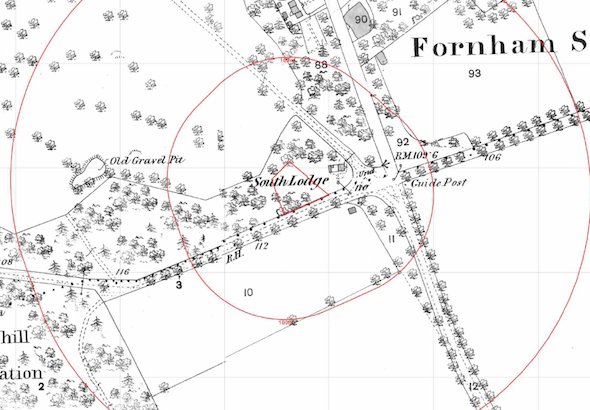 maps revealed the site formed part of a plantation until 1982 when the site was cleared. A pond and a old gravel pit were identified on the O.S. maps within 250m of the site. Data available on the council website indicated the site had been used for the breaking if military tanks and as a builders yard from 1953. Geological maps revealed the site was underlain by the Lowestoft Formation and chalk, the chalk was regarded as a moderate sensitivity receptor. Hand held trial pits were excavated during the walkover survey which demonstrated made ground was not present. Data provided by the Environment Agency and Groundsure did not provide any further potential sources of contamination. 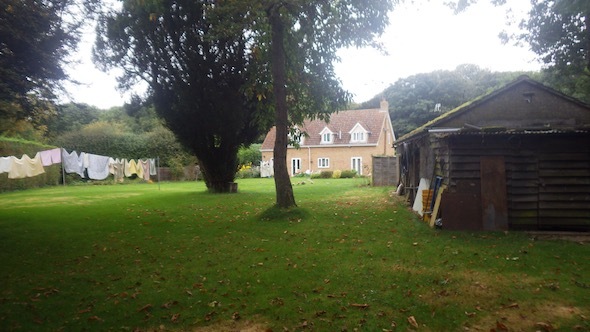 On completion f the desk based assessment, a site walkover survey was undertaken, which revealed the site to comprise of the rear garden of the adjoining dwelling and was partly occupied by a single story outbuilding. Whilst there was no evidence of the past uses of the site on the O.S. maps, the possibility could not be discounted, and further intrusive works including a UXO survey and a radiological survey (due to radium being used on the dials in the tanks)was proposed. Whilst the application was refused, the recommendations of the desk study report was accepted, the memo can be accessed here.